Wednesday appears to be Judgment Day for Jeremy Clarkson, and the pending verdict isn't looking to be in the embattled Top Gear host's favor. The Telegraph is claiming that Lord Tony Hall, the director-general of the BBC, will announce that Clarkson's relationship with the broadcaster will be terminated in the wake of his assault of producer Oisin Tymon and the ensuing internal investigation. Lord Hall is expected to thank Clarkson for his service in building one of the Beeb's biggest and most profitable properties, calling him a "brilliant broadcaster," and according to The Telegraph, defending his on-air style. He'll add, though, that his behavior in this most recent case will not be tolerated at the government-owned network. According to the investigation, Clarkson verbally abused Tymon for 20 minutes before attacking him. Apparently, the incident was set off after the 54-year-old host was told the hotel they were staying in had stopped serving hot food, meaning he couldn't enjoy a steak and fries after a day of filming. This development throws the future of Top Gear into doubt. According to The Telegraph report, BBC bosses are trying to sway Radio 2 host and Ferrari connoisseur Chris Evans to replace Clarkson. 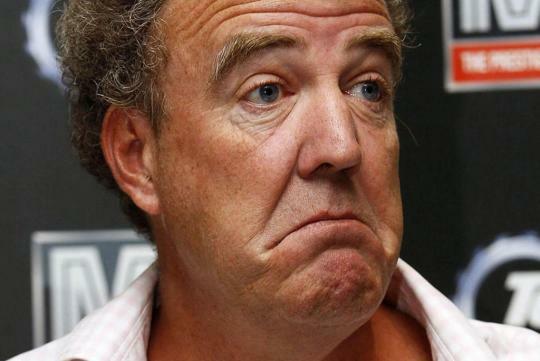 Replacing Clarkson may be the least of the BBC's worries, though, as both James May and Richard Hammond have said they wouldn't present the show without Clarkson. That's doubly bad news for the BBC, as all three Top Gear hosts are facing expiring contracts, meaning that wherever Clarkson lands, it's reasonable to expect James May and Richard Hammond to follow. As for that landing place, it seems Netflix could become the new home of the TG trio. What do you think? Is the BBC making a mistake letting Clarkson go? Does he deserve his fate? Will he jump ship to another British broadcaster, like ITV, or would you like to see a Top Gear successor on the no-holds-barred medium that is Netflix? If that's indeed the case - sad to see him go. He is (IMO) the show. Perhaps rival stations would now swoop in to pick him up, along with May & Hammond. Together, the trio definitely make for some interesting tv! Look if the guy jump the gun.He deserve to be kick out. Look for fresh blood. Fresh look. Its time to change.. The show is TG not JC.